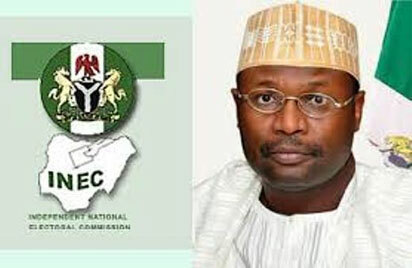 ABUJA: The Independent National Electoral Commission, INEC, has buttressed the role of observer missions in the nation’s electoral space, saying it adopted the simultaneous accreditation and voting since 2016 from the recommendations made by the Commonwealth Observer Mission which observed the 2015 general election in Nigeria. The activities of foreign observer missions in Nigeria had recently being a subject of heightened interest following life-threatening statements by some partisans which were directed at foreign observers. Chairman of the commission, Prof Yakubu Mahmood, stated this on Monday when the Commonwealth Observer Mission to Nigeria, led by former Tanzanian President, Dr Jakaya Kikwete, visited the INEC headquarters in Abuja. Yakubu recalled that the report of the 2015 Commonwealth Observer Mission contained 32 recommendations as well as identified institutions that should implement those recommendations. According to him, out of the eight recommendations proposed to be implemented by INEC, the commission, after studying the report, implemented some administratively while those that required amendment of the constitution or the electoral act were sent to relevant authorities for further action. The INEC chairman noted that since the adoption of the simultaneous accreditation and voting, the commission had conducted 194 off season elections and had deployed the same process in all the elections. He also informed the 2019 Commonwealth Observer team that the simultaneous accreditation and voting has been enshrined in the Regulations and Guidelines for conduct of 2019 general elections. “The last Commonwealth Observer Mission had recommended that we should abolish that system, that archaic system, that, as citizens or voters are accredited, they should be able to vote at the same time and we have implemented this recommendation way back in January 2016 when we conducted one of the governorship elections in this country. “Since then, we have conducted 194 off season elections and all have been conducted on the basis of simultaneous accreditation and voting or what you call continuous accreditation and voting. “It didn’t require an amendment to the electoral legal framework for the commission to continue with the system of accreditation and voting. “For that reason, the commission used it’s powers under the electoral act to make Regulations and Guidelines. It’s now in regulations for the conduct of 2019 general elections. The method of voting will be continuous accreditation and voting. Leader of the team, Dr. Kikwete, said they were in the country to observe the polls and not to monitor them. “We came here to observe not to monitor. Sometimes, people call us monitors but we just came here to observe the elections. We are at the commission today to listen to you, the commissioners, whatever you have to tell us in preparedness of the commission to conduct these elections. The team would also submit an interim and final report at the end of their observation, he said.